The internet is flooded with stories of sky-high charges for early termination of card terminals. In one account I read, a merchant was charged more than £700 to exit an agreement after the minimum cancellation term had elapsed. 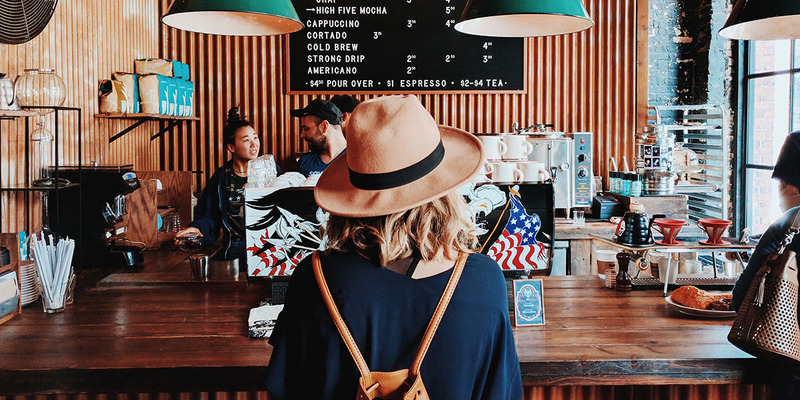 With so many merchants paying excessive termination fees, I thought it was time to lift the lid on cancellations and reveal how you can avoid hefty charges. Does the Consumer Credit Act 1974 apply? If you want to cancel your card machine contract early, you’ll usually have to pay an early termination fee. Essentially, this is an extra fee that kicks in to ensure your card processor makes back their capital investment from buying the terminal in the first place. Exactly how much you pay will depend on the specific wording of your contract. However, when we reviewed popular contracts, we found some fees were significantly more common than others. Here are two very common charges you should watch out for. So, how much will that actually cost you? Let’s say you bought into a four-year contract at £15 per month. Eighteen months into your program, you decide you want to quit. First, you’ve got 30 months left so that costs you 30 times your monthly instalment, which works out at £450. Second, you’ve got your restocking fee, which can typically be around £190. All in, you’re looking at an early termination charge of £640. Does the Consumer Credit Act 1974 cover card machine contracts? If you’ve read anything about card machines, you’ve probably heard of the Consumer Credit Act 1974 (CCA). However, considering the CCA is 67,000 words long, I really don’t expect you to have read it cover to cover, especially since only a very small section is relevant to card machine contracts. Unfortunately, the CCA leaves legislative gaps that some suppliers are actively trying to exploit. You see, the CCA only refers to hire agreements. It says you can exit a hire agreement at any time after 19 months without making more payments. Some providers are dodging this get out clause by structuring their terminal rental agreement as memberships. As memberships are different from hire agreements, they aren’t covered by the CCA. If you exit a card machine membership after 18 months, you may still have to make extra payments. This clause dis-applies the 18-month rule where the goods are “selected by you and acquired by us from any person”. Technically, this does describe the terminal fulfilment process since all terminal suppliers obtain their terminal stock from a third-party manufacturer, normally Ingenico or Spire. Strictly, this loophole could be used by any terminal supplier (or any other equipment supplier) who has not manufactured the equipment. Well, our understanding is that this is not the intent of this clause. The clause is designed to protect lessors where the leased equipment is bespoke or designed specifically for the customer and could not easily be re-leased to another customer. It is not intended for a scenario where the equipment is commoditised and could be used by just about any customer, as is the case for card terminals. However, companies do use clause 101(7)(ii) so it is important to keep an eye out. 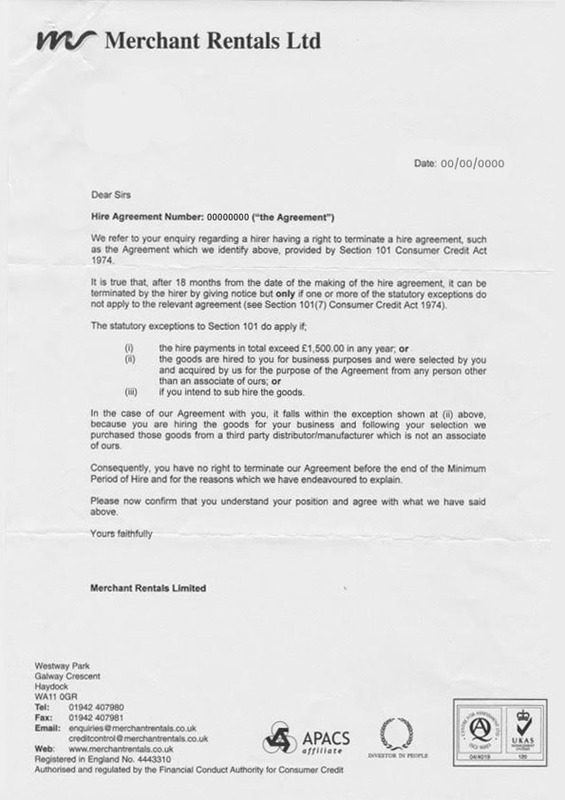 Here is one letter a reader sent us from Merchant Rentals Ltd that utilises the clause I just mentioned. e words hire and membership. Also, ask your supplier directly and keep asking until you get a definitive answer in writing that 1) the CCA does apply and 2) that clause 101(7) does not apply. And if your business isn’t run as either a sole trader or partnership, you aren’t covered by the CCA because you aren’t classified as a consumer. It’s important to realise that minimum terms exist for a reason. After all, your supplier is footing all the capital costs for your payment system, paying for the card machine, installation and so on. Realistically, they only start to make a profit towards the end of each contract. However, once you’ve passed the minimum term and your supplier has made a tidy return, shouldn’t you be able to go your separate ways? It certainly sounds reasonable. With most providers, you can give notice and part ways amicably. Simply put your request in writing and send it to your partner. Before you fire off your cancellation request, remember to check your agreement for details on the specific cancellation process. As you’re about to see, some suppliers make it harder than it needs to be to cancel your contracts. Some providers structure their termination process to ‘trap’ merchants in agreements that they don’t want to be in. Although there are many different ways for suppliers to artificially extend your contract, most dodgy suppliers will use one of two tactics. First, automatic minimum term rollovers. All card machine agreements will have minimum terms included in the deal. However, with some agreements, a second minimum term will automatically kick in once you’ve passed the first. The second term acts just like the first with early termination penalties and all. Second, narrow cancellation windows. This one’s a bit more obscure. Essentially, to get out of these agreements you have to serve your notice of termination within a small window. In the worst cases, that window is 12 months before the end of the original term! If you miss the cancellation window, your agreement rolls automatically renews, locking you into a new term. Beyond the termination conditions, some suppliers have a whole host of onerous conditions to trip you up. In this section, I’ll discuss some of the most common conditions. Written and recorded. Ensure your cancellation notice is put in writing and sent by recorded delivery. This ensures that you have a record that the supplier received your cancellation notice and the date of receipt. Addressing your cancellation letter to the wrong company. Merchants will often buy card machine contracts through a reseller. When it comes time to cancel, you have to address your letter to the provider and not the reseller. If you address it to the reseller (and many merchants do), the supplier will probably ignore it. Handepay is a classic example as their terminal hire is undertaken by Merchant Rentals plc. Misselling the card machine package. We often hear complaints from merchants that a salesperson told or promised them something that wasn’t actually included in the contract they signed. Read all contracts before you sign them. Make the salesperson specifically point out where in the contract where it states their verbal representations. While some salespeople deliberately mislead, others do it accidentally because they are not familiar with their own contracts. Either way, it’s always important to compare verbal promises with contractual offerings. If you have had trouble cancelling a merchant service agreement, let us know about it in the comments. It’s important to highlight unfair policies in the industry and we can’t do that unless you help us spot them.